At All Star, we see a wide range of talent in the players that come to us for recruiting videos. Some are players who show great potential, but have parts of their game that are undeveloped. Some are highly advanced athletes who have their choice of any D-1 school or professional club. The spectrum of talent is wide, but the benefit of a recruiting video is equal. First, there is the athlete that needs a little more development than your average player, but wants to play at the next level. A recruiting video usually aids this type of athlete the most by accenting the individual’s strengths and shows where he or she can improve. Many people might think it would hinder a recruit to show parts of their game in which they are lacking. But this is not completely true. Most coaches like to see the areas where potential recruits can improve, in addition to their clear strengths. A coach once told us, “it’s helpful to see a skills shoot or game footage showing a player making plays. But I want to see how a player acts after he’s made an error or strikes out. Failure is inevitable in this game. How a player reacts after failure tells me what I need to know.” If a player is willing to take direction and teaching from their coach or instructor, real growth in a recruit’s game can happen. College coaches today tend to be very interested in how much a player can apply what they learn from instruction. Second, there is the player that clearly stands out among his or her peers in athletic ability and prowess. Overall, this player probably benefits the most from video. Highlights of this individual shows coaches that they have mastered most of their ability to compete at a certain level, but continue to want to get better as an athlete. Every coach wants to see dedication from his or her athletes, and video is the key for this person. Video allows the coaches to see this player’s clearly strong athletic ability, as well as true desire to play and compete at the next level. Last but not least, there is the “Star”. This recruit has his or her choice of any college or organization they desire, and usually already have some offers on the table. “Why would they need video?” you might ask. 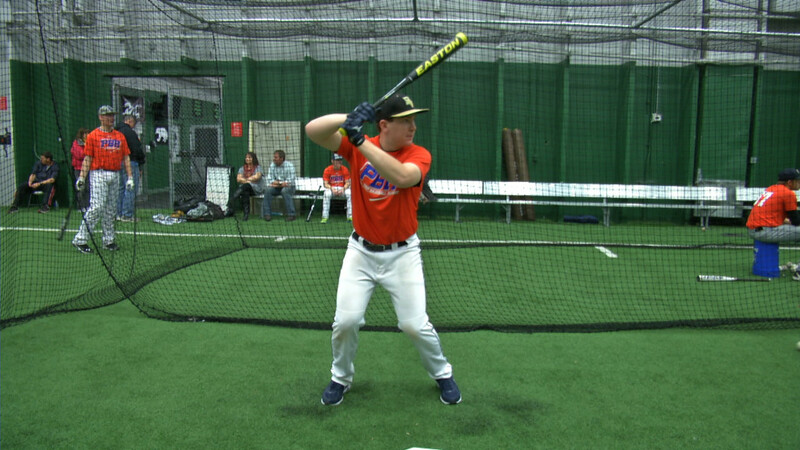 Video allows this player to expand the range of his scholarship search and to seek options that might be better than originally thought possible. For instance, let’s take a player with an offer from a standard University. The scholarship is 50% and the school is a popular one among universities in the player’s hometown. Accepting this scholarship is a solid choice, but what if they have the opportunity to aim higher? Video allows this player to send highlights to any team or coach they would like or may think be interested. Maybe interest is coming from a University many miles away, or even a professional team or organization, and scouts are unable to come and watch the athlete play. Video allows the player to be seen by coaches and scouts thousands of miles away, nearly immediately. Not limiting this athlete’s vast opportunities is key. The talent we see differs greatly between athletes, but the importance of video for each remains the same. Whether it is showing a player’s strengths and weaknesses, or dedication to playing on, or seeking bigger and better opportunities, nearly every athlete can benefit from video.